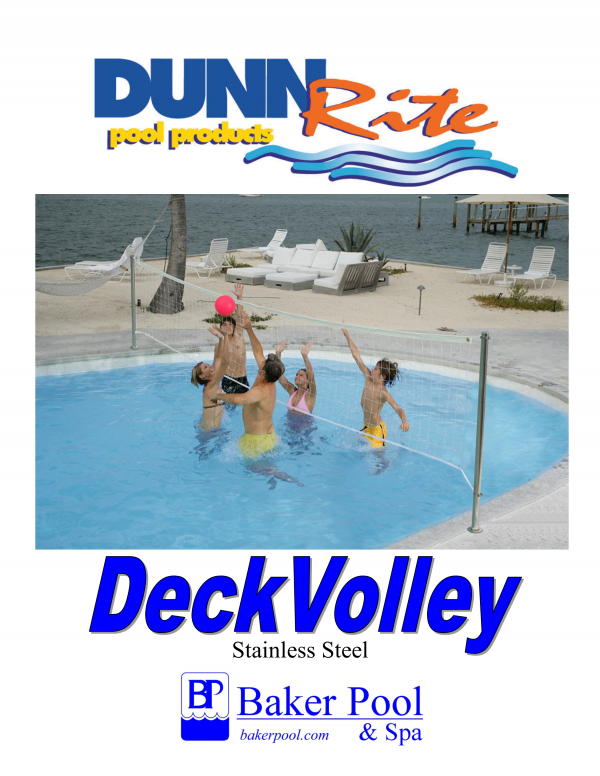 Regulation size Pool Volleyball set from DunnRite fits standard 1.90 anchors & 2 3/8″ and heavy duty 24′ net with net shortening kit, adjustable height net clamps, and hot pink colored ball. Comes with anchor finishing caps to replace posts when not in use. Hardware is brass and stainless steel.